No fees are requested nor accepted for ASCAS membership. confirming their 2007 membership (the simplest way is to use the 'reply' button on our December e-mail). I apogize for this little effort requested to whomever appreciates and supports ASCAS activity. No action is requested to unsubscribe. Members not confirming their membership will be automatically deleted and shipping of our monthly Newsletter will be suspended on February 2007. When central heating was not available, besides stove and fireplace, another heating item was used in ancient times: the warmer (or brazier). 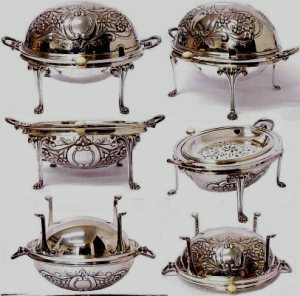 It was a container in metal, terracotta or ceramic filled with embers and warm ash used as personal heating support and bed warming. This spoon is 6 in. long with a circular bowl 1 & 11/16ths in. diameter. The handle is attached as a rattail at a 45 degree angle. There are no worn areas. 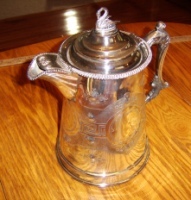 Members of another silver forum commented that it appeared to be a 'premium' or 'commercial product'. Premiums would be packaged inside a box of cereal or another product. The company expected buyers to choose their brand because of the 'prize' or premium included. My memory of these type products is that each week the enclosed premium would be another piece so that the buyers had to continue buying the product each week to complete their sets. Sometimes box tops were collected and mailed in for the premium. 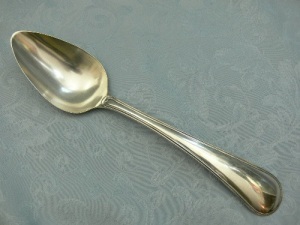 I am unable to think of anything this spoon would make a part of. Several persons said they have seen these frequently in silverplate spoon lots. No one has come up with a maker. It serves very nicely as a cranberry sauce spoon . I wish to know more. My guess would be American. Does an ASCAS member have any suggestion? recently bought a silver "tastevin" (wine taster) ; it is supposed to be French (XVIII century?) and it bears these marks (see photos). Can anyone help me to identify them? a serving set with French hallmark and a four-leaf clover and E:MOLLE into a lozenge. I have recently purchased 4 Sterling serving spoons. 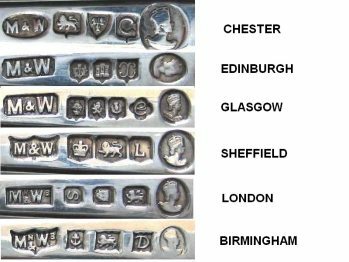 They are stamped with the marks attached. 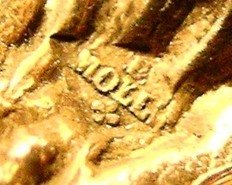 I have not been able to identify the marks and would very much appreciate your help. 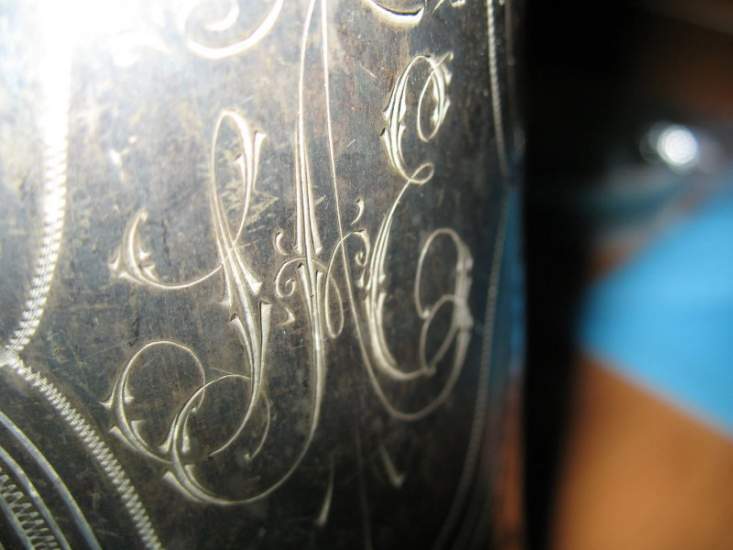 Your spoon was made in Holland in 1867. 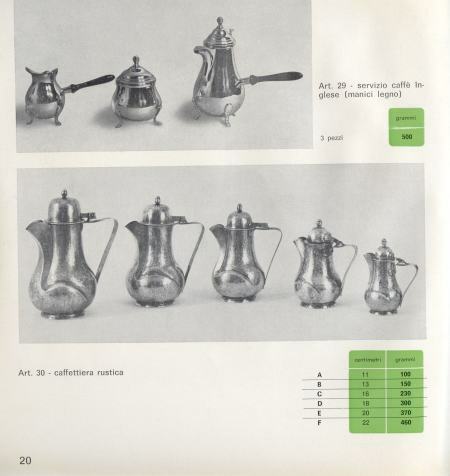 I publish Renée's question and I hope that ASCAS members can identify the maker. ... 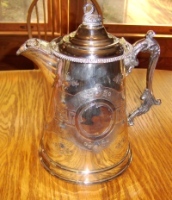 I stumbled across your site looking for a way to identify a pitcher that has been in my family for over 150 years. I'm not looking for a price, just an id. I can't find any marks on it that would help someone like me (clueless). I'm doing a research paper on it and having some information on how and where it was produced would greatly help me. 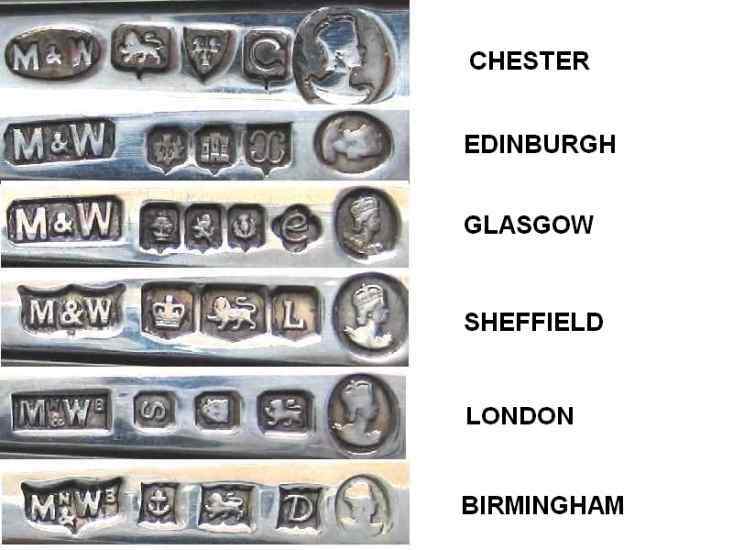 In absence of any mark it's very difficult to identify the origin of a silver object. I trust in ASCAS members for some useful suggestions for your research. ... I send you some photos of my teapot marked SB&M. I hope you may help me identifying the maker. 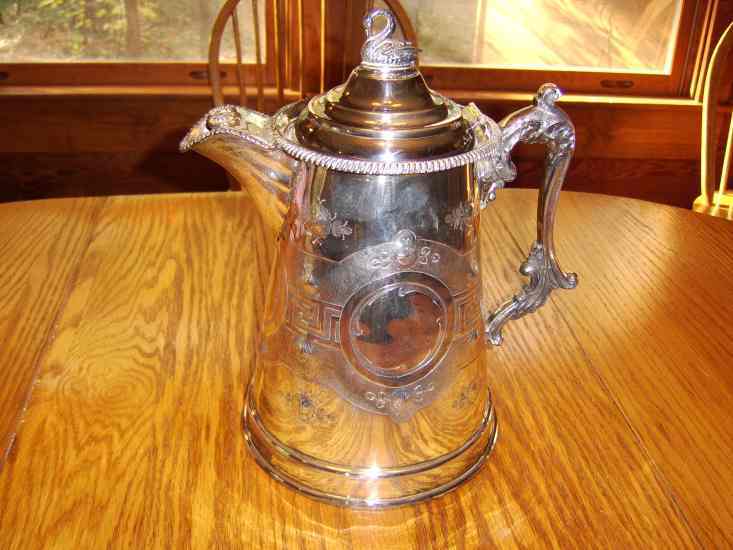 I think it isn't silver but silverplate, but I'd wish to know something more about its history. ... 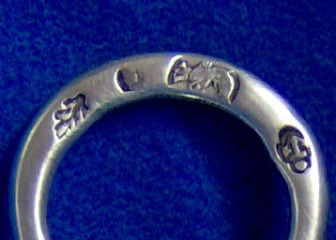 I am trying to identify a Austrian silversmith who worked after 1922 for a friend. 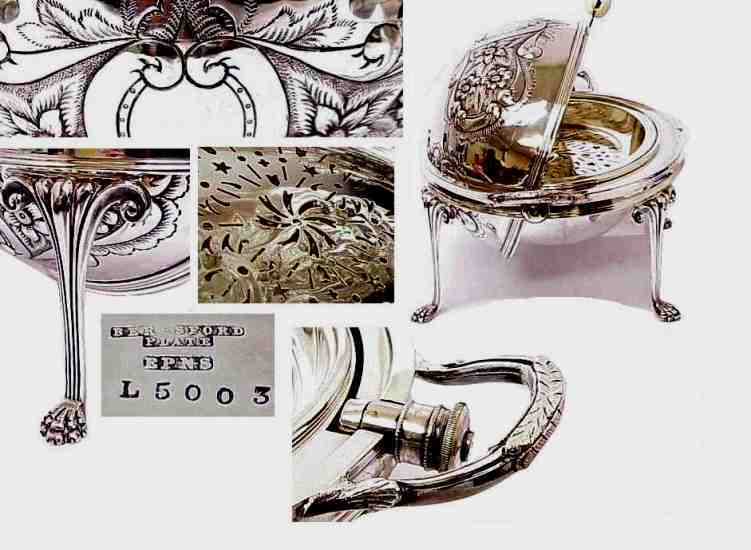 So unfortunately the CD-Rom on 'Viennese gold- and silversmiths from 1781 and 1921 would not help in this task. I have attached a photo of the hallmark. 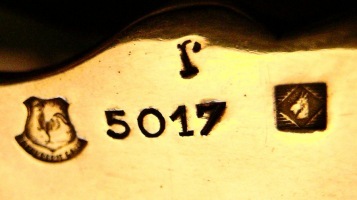 The first mark is one used in Austria since 1922. The "" stands for the city of Vienna. That's a toucan head in the center. 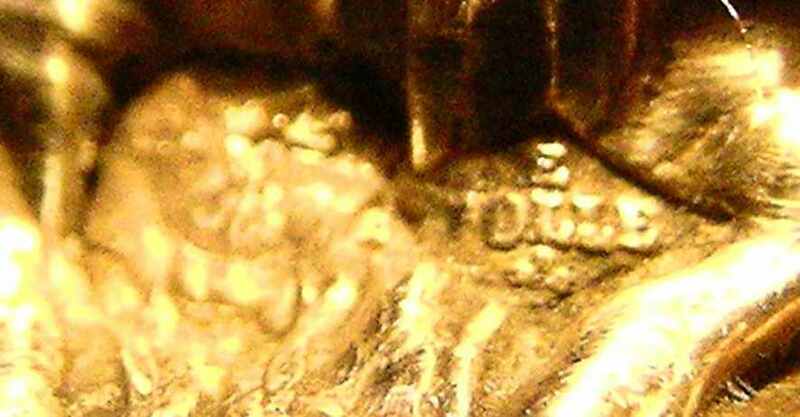 The "4" on the right stands for a silver purity of .750. 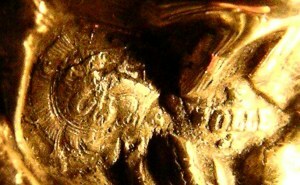 However the middle hallmark appears to be 800 with a period at the top. 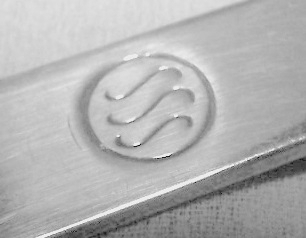 I do not know if this signifies 800 silver or is another mark? And the last mark is JxH. If you have any information on this maker, I would be very grateful. ... I have a burning question for you.... My board of directors is worried about the constant polishing of our collection. We use Silvo silver polish, and they are worried with the polishing all of the time that we will be getting down to the copper below, on some of the artifacts. Are you aware of a product that helps keep the shine longer? We have a number of airtight cabinets - that can go 3 years or so without cleaning. However we have pieces that sit out that need constant cleaning. I may have the answer for the question posed by Jacquie in November Newsletter regarding polish. 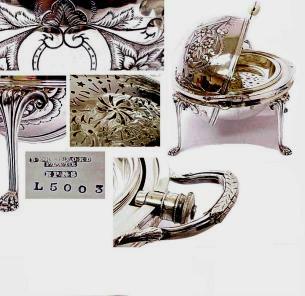 I use GODDARD'S Long Term Silver Polish and have found that it's 'long term' protective properties are exceedingly good. The formulation, while providing excellent cleaning properties, also inhibits retarnishing. 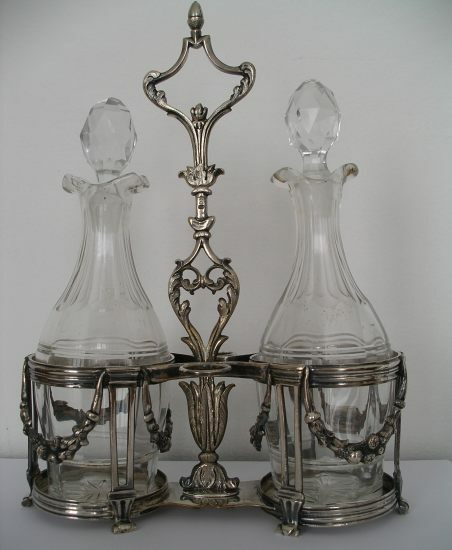 I have found that the lustre and shine remains for much longer than the results produced by other cleaners. Additionally, the Company also produces a polishing cloth that, when used in conjunction with the liquid polish will maintain that 'just polished look'. 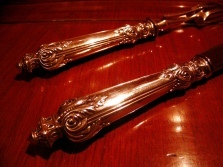 For ornate piece's it is recommended to rinse the polish off rather than rub. The products are widely available in the UK, but I am not to sure about Internationally! 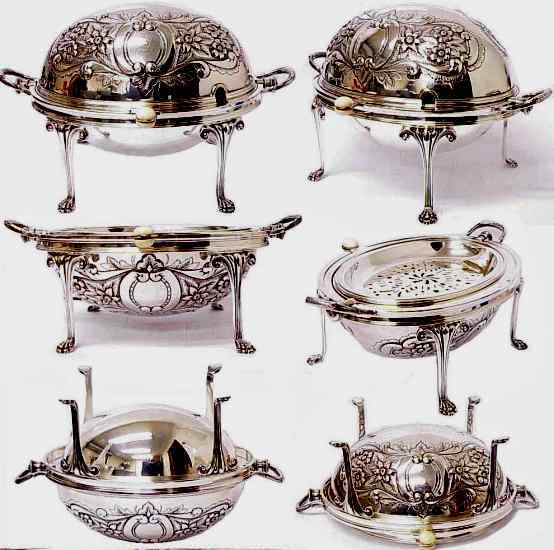 I am always reluctant to polish electroplated wares too vigorously or frequently. 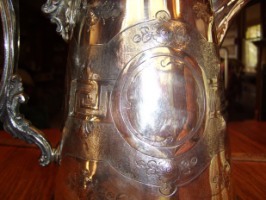 Repeated polishing will, indeed, wear away the silver and expose the base metal. 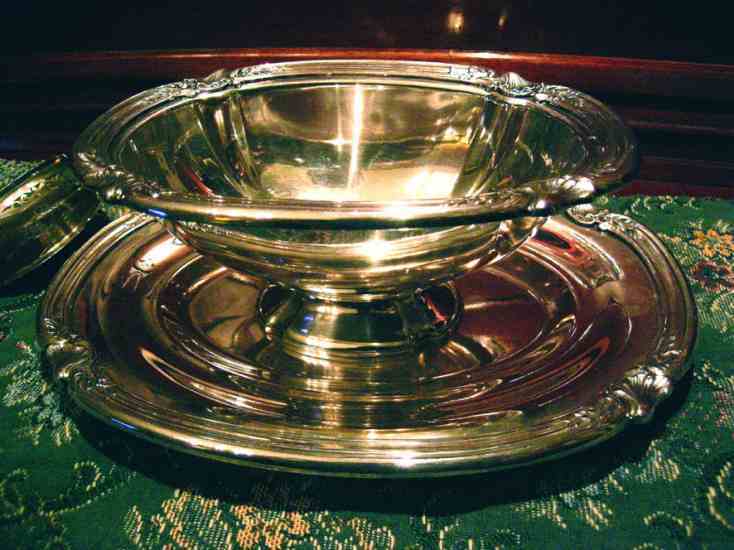 While I don't collect plated wares, I use Haggerty's silver wash on things which need frequent polishing. It seems to be a less aggressive form of silver polish. 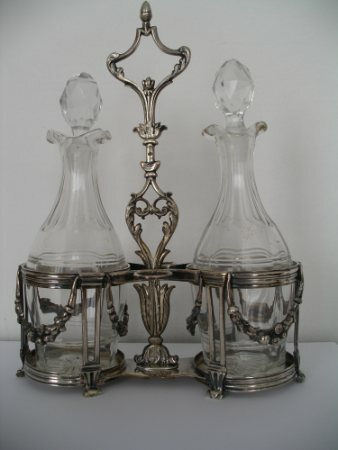 Better to put the things under glass and use Haggerty's anti-tarnish paper strips to keep them shining. If there are items in our house that we have standing out, and the way we keep them clean is by washing them fairly often in dishwashing liquid that has lemon as one of the ingredients. This keeps the items fairly clean, and it keeps them polished and sparkling for much longer without having to polish them, and is not as corrosive as Silvo polish or similar. Sometimes I rub some of my more marked and blackened silver items with a lemon and leave it to stand for a few minutes before rinsing them off with dishwashing liquid, which works very well. This URL is an excellent article for Jackie Mallory of the Soo Line Museum. For your Board and your volunteers: Print the entire article found at www.bishopmuseum.org (click here). You are right to be concerned. The situation you describe might be handled by a silver cloth only, if cleaning is weekly, and the cleaners should wear soft cotton gloves. 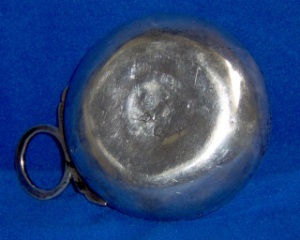 Next safest, with less frequent cleaning, might be a bit of a 'dip' product on a cotton ball, passed lightly over the surface then followed by a gentle wash and then the silver cloth. Silvo is mentioned as a good product; rubbing is mentioned as harmful. Do read the entire article. Fred, your silver piece looks like a butter or caviar dish. 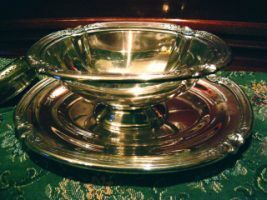 The rolltop is quite common in caviar dishes, and it would have a glass dish inside it, with ice underneath the silver lining. The mark is not so clear, but it doesn't look like a reproduction to me. I can't make out the mark. Beresford? in the original question, November, no measurements were given. 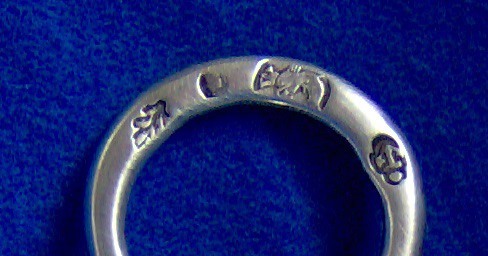 The Chinese marks are possibly the marks of 'Chewshing' and the Chinese marks possibly Jui Chi. The Dutch small coffee spoons copies with pseudo Dutch marks of which there are over 615 fake or pseudo marks that I have found and they were probably made sometime after 1890. Beware of these fake marks as at a quick glance, sometime they are quite similar to original marks especially on apostle spoons. 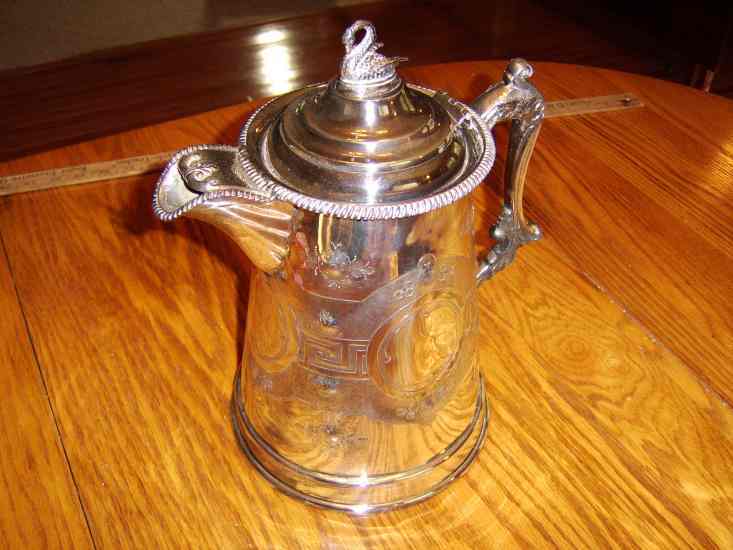 ...Just a note to let you know that my infamous Coffee/Chocolate pot (see June/July Newsletters) has been assessed by the London Assay Office and found to be a duty dodger. 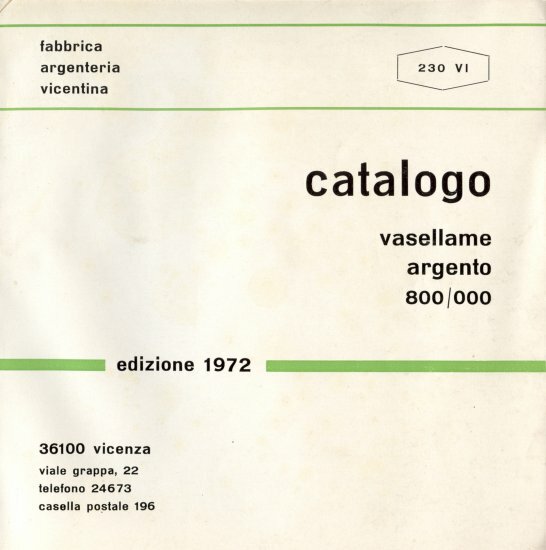 In this column we present a page (one page only) obtained from makers' brochures, books, auction catalogs or whatever other printed paper, which may be of particular interest for ASCAS members. 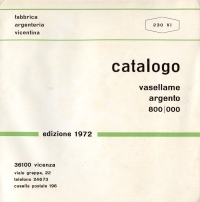 This month ASCAS presents the images of items from the 1972 catalogue of Fabbrica Argenteria Vicentina - Vicenza (Italy), mark "230 VI" into a lozenge. The five coffee pots named "caffettiera rustica" are the typical "cogoma" shape of ancient Venetian tradition. ASCAS needs new images for next editions of this column. Members' contribution will be greatly appreciated. 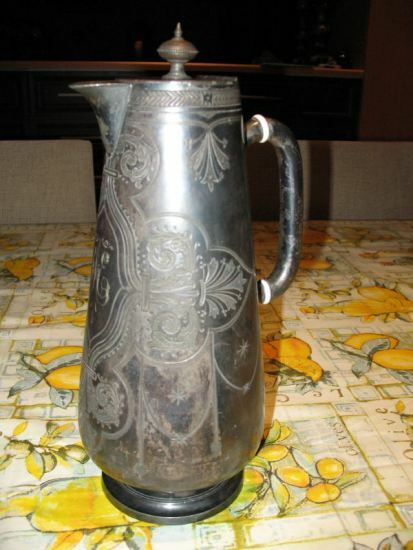 Silver has been used to decorate bronze, copper, and earthenware for ages. 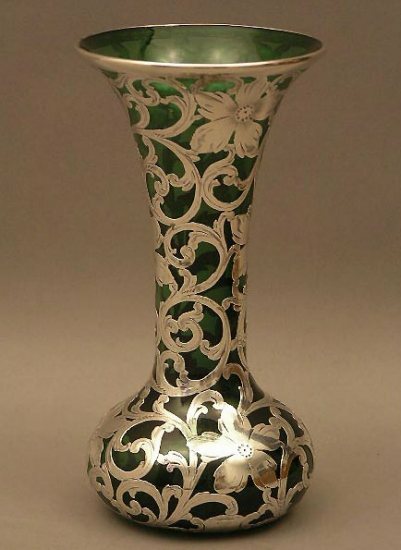 Silver on glass, however, started to come into its own a little over a century ago. Closing our DECEMBER 2006 edition of ASCAS Newsletter I hope you have appreciated its content. My thanks to Michael Blake (England UK), Giovanni Ciceri (Italy), Alessandro Colemann (Italy), Ian Cook (England UK), Mike Dawson, Hymie Dinerstein (England UK), Jayne Dye (USA), Hamid Ghanbarezade (Iran), Maja Heynecke (South Africa), Mario Nuvolari (Italy), Attilio Porsia (Italy), Lloyd Prator (USA), Ginny Riley (USA), Karin Sixl-Daniell (Austria), Renée Watkins (Canada), for their invaluable contributions.